He didn’t envisage himself quitting the hike, returning to the campsite, or being prepared to quit an apprenticeship he loved. He didn’t envisage himself in tears, with his head swirling with anxiety and depression. Calvin had experienced these feelings before, during high school, where music became his escape. “Listening to and creating music, not only on instruments but on the computer, helped me to be able to get through the day, expand my mind in ways to see my path, see my future more openly than closed,” he said. Though school was hard, he took control of his future and got an apprenticeship with furniture company DFS, where he started a DofE as part of his apprenticeship programme. Calvin was excited about doing a DofE. He could put it on his CV to impress employers, and saw it as an opportunity to keep improving himself – meeting new people through volunteering, and getting fit by hopping back on his bike. Calvin said he didn’t realise how much the expedition would challenge him. 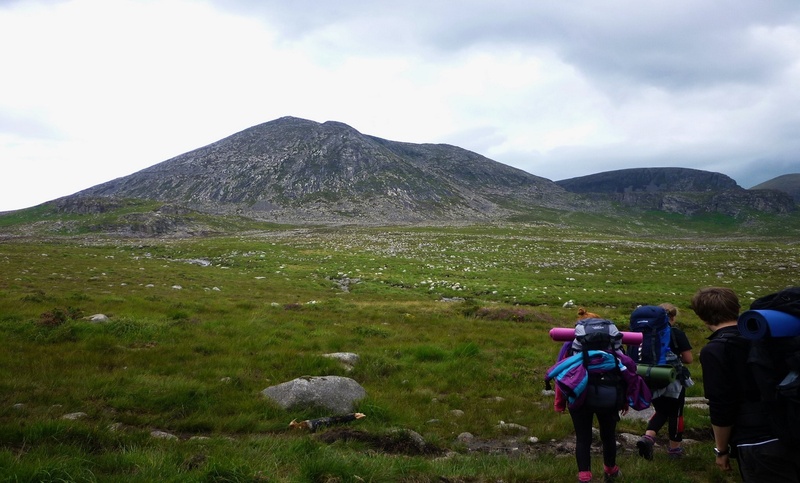 “The DofE expedition was the one thing that broke me and made me,” he said. “I quit on the second day – it broke me into pieces, and I said I wanted to quit the job, everything – I didn’t want to have anything to do with it. But he got a second chance. “I used every day to get better…I was enthusiastic, my quality of life went up, and my happiness…I was ecstatic every day. I wanted to be at work every single moment,” he said. This time around, Calvin also knew what to expect from the expedition. “I attuned my body to it. It was a lot easier for me and I breathed through it. It took me from being a child to a young adult. It helped me build a new thought process. I popped my own bubble, and I realised this is reality – this is the life I have chosen and this is a hurdle I need to climb over,” he said.